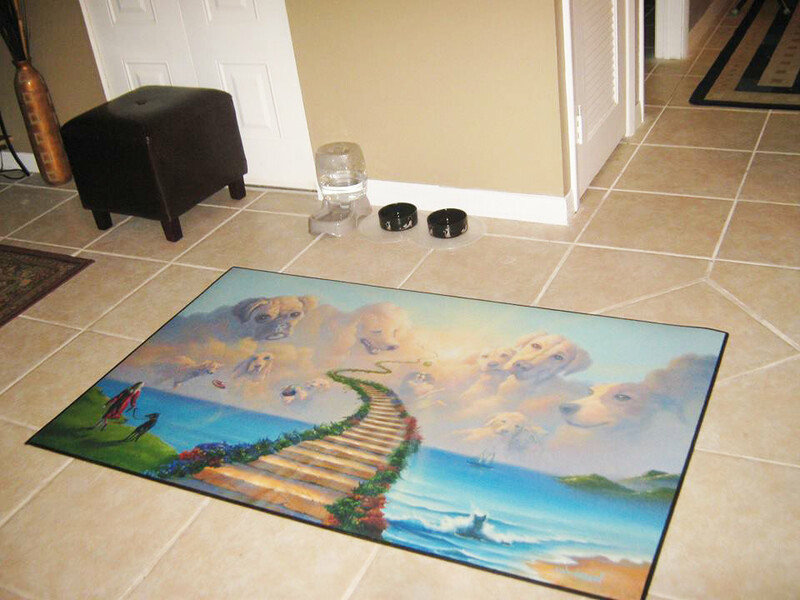 Jim Warren’s original All Dogs Go To Heaven #2 is now available as a floor mat. 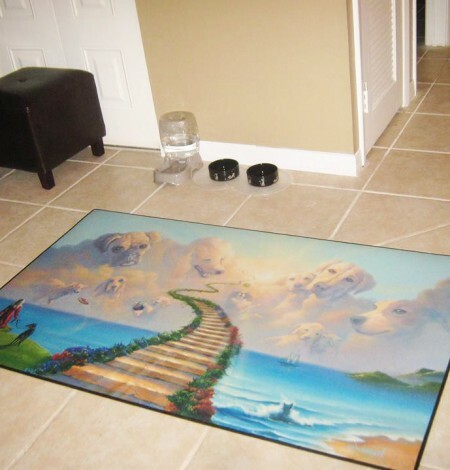 This felt floor mat is available in two sizes with a rubber back and is machine washable making it safe for pets and durable for years to come. 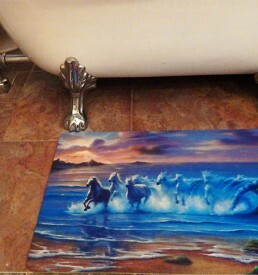 Disclaimer: This floormat is being offered exclusively by Jim at his fan’s request. 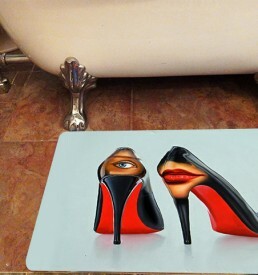 For a gallery-quality, limited-edition, fine art reproduction of this and other paintings, please visit the Locations page to find a gallery near you.